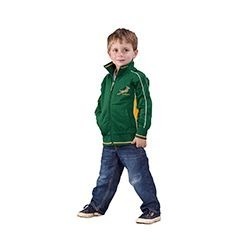 Giftwrap offers excellent choices when it comes to Springbok Supporter Shirts. What is interesting is that the company offers these shirts in four different varieties namely adult shirts, adult sweaters, kiddies shirts and kiddies sweaters. 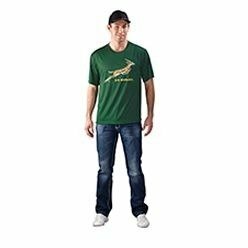 As far as the adult shirts are concerned, the company offers SA Rugby basic t-shirts for men and women, rugby shirts with woven collars and rugby shirts for both sexes. Also available at Giftwrap are adult sweaters and kiddies shirts. The adult sweaters are available in varying varieties and you can find SA rugby sweater for ladies and gents and supporter long sleeves shirts. Moreover, you can even find compact shirts for kiddies at Springbok. There is a range of shirts available for kids such as those with the woven collars and basic t-kids for kids in general. All of these shirts are unique and come with a front neck and back that add to their overall style. Finally, as far as the kiddies sweaters are concerned, the company offers unique shirts that cover your chest and back well and offer fully contrasted shirts for kids. These rugby sweaters, once worn, will ensure nothing but style because your kid will easily and fully flaunt these and stand apart in the crowd. With such variety available, it will not be a problem to find something of your choice at Giftwrap. 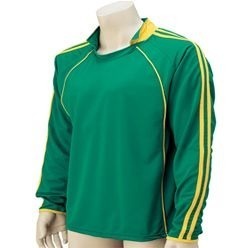 Large varieties and affordable prices are what you can expect as far as the Springbok Supporter shirts are concerned.